This Australian summer will see another big retirement in the world of cricket as Australia batsman Michael Hussey confirms he will put his feet up by the end of this season. Australia's third Test against Sri Lanka, starting in Sydney from January 3, will be his last Test, while he will quit the limited overs cricket after playing the ODI series against Sri Lanka and West Indies. Mike Hussey will retire from international cricket this summer. What is your favourite memory from "Mr Cricket's" career? #mrcricket," Cricket Australia said on Saturday on the microblogging website Twitter. 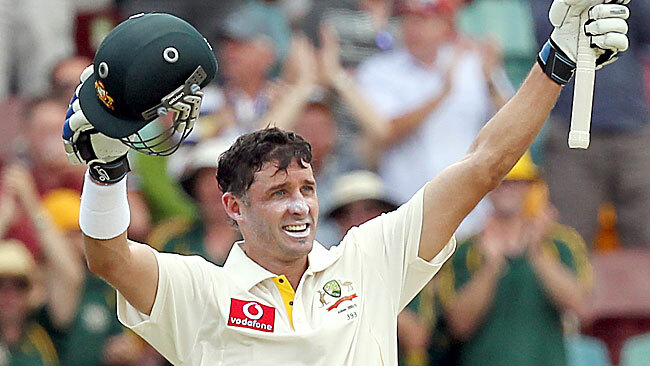 Australia coach Mickey Arthur, however, expressed his surprise at Hussey's decision. "Was shocked when Huss told me of his decision-he will retire a champion," he tweeted. Former Australia allrounder Tom Moody congratulated Hussey on learning that another stalwart of Australian and world cricket is set to retire. "Congrats Michael Hussey, an outstanding career true winner that worked as hard as anyone I've had the pleasure to play with or coach #class," Moody tweeted. Hussey's retirement has come after Ricky Ponting called time on his career after the Perth Test against South Africa in November. It will also mean that Australia will need some serious thinking to fill the spot in their middle order before they travel to India for a four-Test series. Hussey, who is also known as Mr. Cricket due his clean image, has played 78 Tests so far, scoring 6183 runs at 51.52, including 19 centuries and 29 half-centuries. He also represented Australia in 185 ODIs and 38 T20Is. He may continue to play for Chennai Super Kings in the IPL.